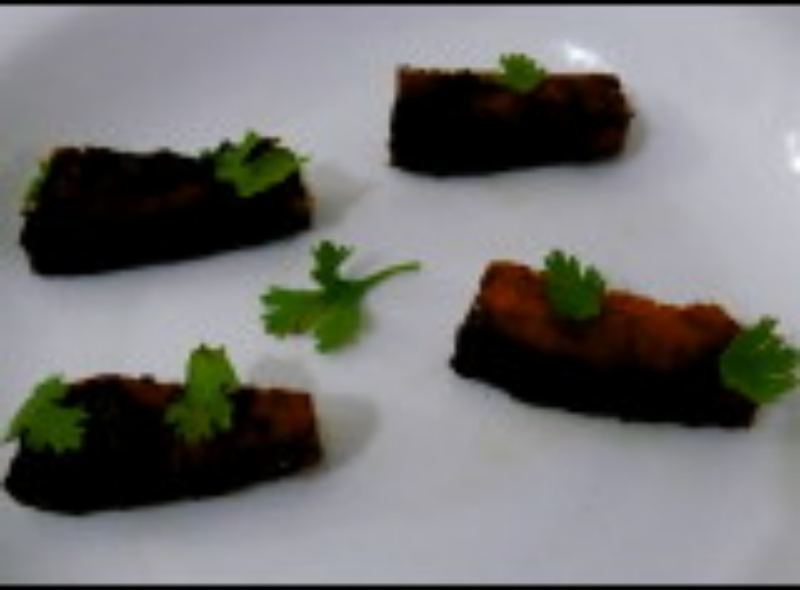 fish fillets marinatedwith spices and yoghurt, grilled in oven. It is traditionally grilled with skewers on small pieces of boneless fish pieces(fillets) in Grill oven, after marinating in spices and yogurt.Try and drop your comments. Clean the fish fillets with turmeric powder(2 tsp) and salt(2 tsp). Take one vessel, put cleaned fish fillets and mix it with roasted gram flour. Add yoghurt into the mixture,then cream, powdered masalas, chilli powder and salt to taste. Mix all the ingredients well and mix to the fish fillets. Keep the marinate the fish tikka pieces for an hour. Thread fish tikka pieces onto skewers. Barbecue over a hot charcoal or in grill oven. When half done(3-4 mins in grill oven), brush the fish pieces with oil or butter and then cook till done. Squeeze lemon juice on fish tikka when done. Serve it hot with yoghurt Mint chutney,lemon wedges and sliced onions.